No prior programming experience required, though you should know how to use your computer and install software on it. Bring your laptop! The hardware required will be provided, so just come with an enthusiastic interest in building a circuit. 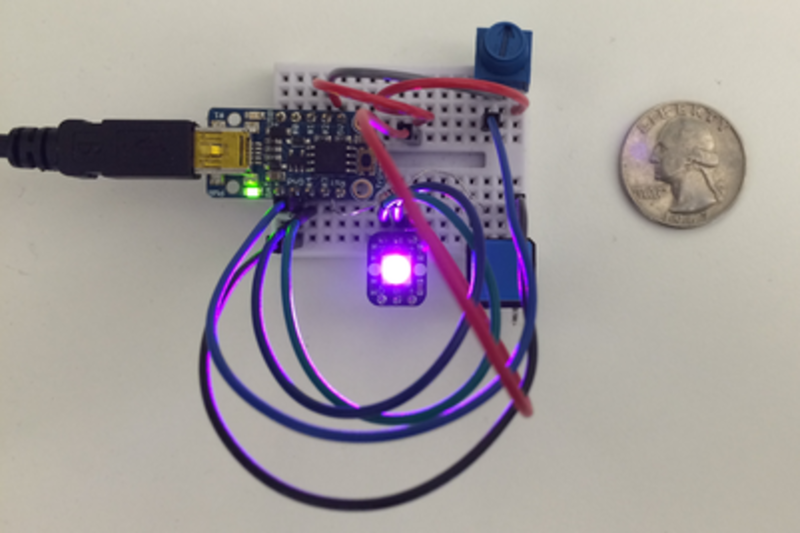 During this workshop, participants will actively learn how to build a small circuit using the Adafruit Trinket and the Arduino platform. Participants will learn to install, set up and configure the Arduino IDE to load sketches onto the trinket. Once set up, participants will build a programmable circuit using a breadboard and a small number of sensors and a multicolor led. Once set up the circuit will control the intensity and color of the led with a button and a potentiometer. During the first half of the workshop, the participants will learn a bit of history about the Arduino, some basics of circuitry, and everything they need to use the Arduino IDE. After a break, the second half of the class will consist of building a specific circuit using the supplied kit, and then writing a program in the Arduino IDE to control the circuit they created. The last 15 minutes of the class will consist of a Q/A session, along with demonstrations of any unique circuits created by the participants.